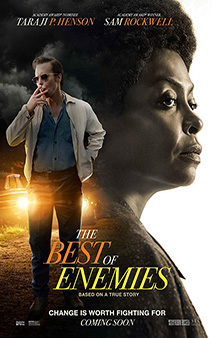 MOVIE SYNOPSIS: The true story of the unlikely relationship between Ann Atwater, an outspoken civil rights activist, and C.P. Ellis, a local Ku Klux Klan leader. During the racially charged summer of 1971, Atwater and Ellis come together to co-chair a community summit on the desegregation of schools in Durham, N.C. The ensuing debate and battle soon lead to surprising revelations that change both of their lives forever.